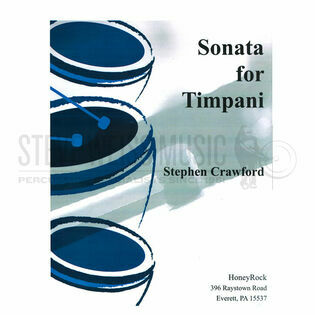 Stephen Crawford's Sonata for Timpani consists of three diverse stylistic movements, a challenging work-out. 2nd movement adds a temple bowl and triangle for effect. 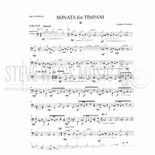 The 3rd movement draws inspiration from a ubiquitous African rhythm pattern. Well suited for an advanced recital.